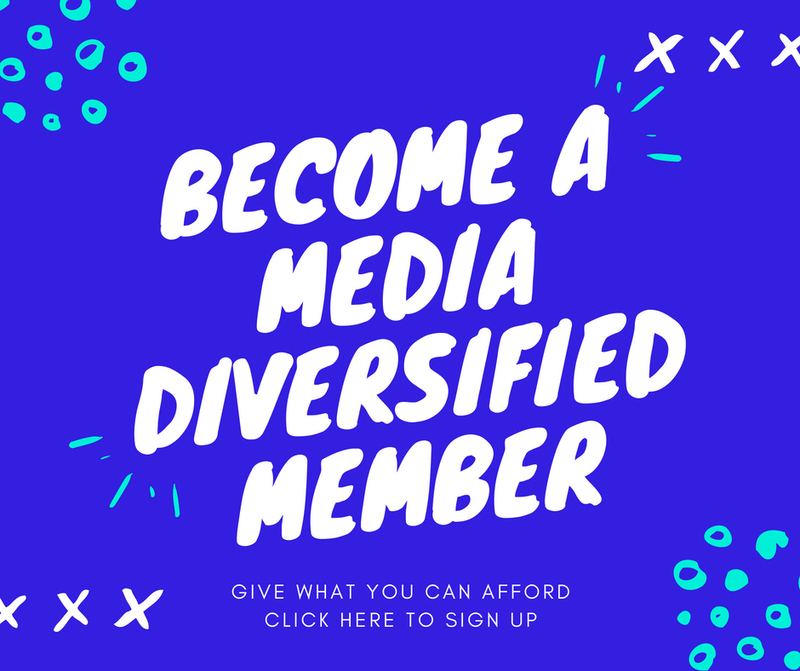 Media Diversified was established in 2013 to help change the conversation in the media and foreground the voices of writers of colour. Since then we’ve made a considerable impact for a small non-profit organisation. We were cited in The Guardian for campaigning on the lack of media response to black deaths in police custody, and in the Telegraph on abuse by soldiers in peacekeeping roles. More recently , we had a certain Times columnist rather upset about our piece “Melanie Phillips want to destroy the Muslim world” and once again held our prestigious The Trashies awards for the worst Landfill Op-eds. Despite our successes, we’ve witnessed a seismic shift in recent years – Trump, Brexit and the rise of the far-right across Europe, and the mainstreaming of their ideology even by supposedly left-wing parties. There’s Farage as the plucky demagogue given a media platform far in excess of his skills as a politician, Tommy Robinson platformed on BBC Newsnight and the Oxford Union inviting Steve Bannon to a “debate” – all defended by cries of “free speech” and “the marketplace of ideas!” – the idea, usually, is that people of colour should ‘go home”. This rightward shift is not just confined to the media, it’s permeated national and international politics too. Theresa May’s racist “hostile environment” and “Go Home” vans were implemented to very little in the way of serious challenge in the media, and it took months of distressing articles of British Caribbean elders being detained and deported for the media to bat an eyelid over the Windrush scandal to any significant degree. Just this week, Hillary Clinton echoed the views of the far-right on migration into Europe. With our media still 95% white, and mainly based in a city that is 40% people of colour, it’s no wonder the true impact to people of colour of this rightward shift is downplayed. For much of the media, Windrush was a political scandal which saw Amber Rudd resign for a 6 months – for many of us, it’s our parents or grandparents’ peers being terrorised by the state. That’s why Media Diversified will continue to centre people of colour, our voices, our lives, our creativity and experiences. Because we are not a minority in our own lives, or a diversity target, we are, funnily enough, 100% living breathing people with stories to tell that often simply aren’t represented in the mainstream media, which often likes to talk about us, without us. But to continue or work, we need your help. Media Diversified relies on your generosity so we can continue to move forward and maintain our output of great writing for you to enjoy. So please visit our memberships page to donate if you can and help us continue to foreground the voices of writers of colour and change the media conversation.